Whether we’ve been the subject of a rumor or the one spreading a rumor about someone else, most of us have been involved with rumors somehow. But how many people really stop to think about the damaging effects? 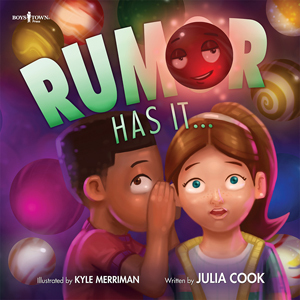 Rumor Has It… brings this serious subject to light with an entertaining, but cautionary tale about the importance of NOT starting or spreading rumors. Rumor has it…that the girls have a couch in their bathroom. And they sometimes take naps in there. And guess what else?